Today's Wordless Wednesday theme over at BlogPaws is: "Best Friends Stick Together". Well, we sure have that covered! 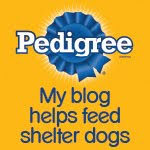 And don't forget to nominate your favorite blogs in the plethora of categories for the prestigious "Nose-to-Nose" Awards sponsored by BlogPaws. By the way... we would love to be nominated for the Best Blog Writing Award-it sure would be an honor just to be nominated! 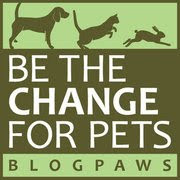 What's stoppin' ya from joining today's BlogPaws Wordless Wednesday Hop? Nothin'! Rut row I didnt know there was a theme! Just pretends you see Kora, my foster sister, an Chelsea an Kaitlyn, my cat sisters, in my picture withs me. Now that is some love there!! Cute! We didn't know about the nose to nose awards. Thanks for the info! P.S. If you are interested, please stop by our blog for a chance to win some free autographed books!